Associate Professor Dr Trần Đình Thiên, Director of the Vietnam Institute of Economics, VIAC Arbitrator, talks to Tiền Phong (Vanguard) newspaper on what the country should do to gain strong economics development in 2018. 2017 has been described as a successful year for our national economy. In your opinion, what are the key factors that will serve as engines for the country’s economic development in 2018? In 2017, our national economy scored many notable achievements – becoming a pace setter for a promising economy in 2018. Our GDP in 2017 was at 6.81 per cent, against 6.21 per cent in 2016. However, I should say that what we had achieved in 2017 was just in term of numbers, not yet in quality. Why did I say so? The answer is very simple, as there were quite a few “hidden factors” relating to the quality in the growth of our economy. For example, the public sector remained much weaker than the private sector. However, in the private sector the number of medium-, small- and micro-enterprises were still dominant. Meanwhile, in the agriculture sector, small- and medium-enterprises account for 15-17 per cent; the industrial and service sectors account for 13 per cent. In 2017, though the number of private enterprises increased rapidly, they contributed just 8 per cent to the GDP. Other points I want to mention are that though, in 2017, we had sufficient money in the State budget, yet disbursements became a big problem due to our institutional or cumbersome policies, which became a challenge for our economy. The public investment, with the participation of so many private sectors – is an example of the investment in BOT projects which has caused a large burden for the public, and society. If we had treated that public investment in a proper manner, I’m sure such an investment would have helped us to cut down considerably on social spending. Another point I want to add is how to solve the problem of a “shadow economy” – an unofficial economy of which existence relates to problems in policy mechanisms, in the year 2018, and the following years. The discrepancy in imports and exports between Việt Nam and China is also an issue we should make efforts to settle this year. What should we do to solve these problems then? In my opinion, the first thing we should do is to “kill” sub-licenses that all enterprises must obtain before they get their official business licenses. This is a good way to reduce the cost burden for enterprises. In Việt Nam, our current logistics costs account for some 20 per cent of GDP, in which 16 per cent goes to transportation, particularly BOT fees and charges. Other points are the promotion of start ups, particularly in high tech agriculture, and the 4.0 industrial revolution in the year 2018. Also in 2018, we should adopt a new look towards the attraction of FDI enterprises, with a new strategy. In my opinion, our economy can’t lean forever on the mass attraction of FDI investment into the country. It is high time for us to put a stop to the attraction of FDI projects, at all costs. We should adopt a workable strategy to attract foreign investment, along the line of “hunting” for capable and potential foreign investors in using hi-tech, and those willing to transfer technologies to Việt Nam. I’m confident that if such a policy is put in place, Việt Nam will achieve the objective of having quality economic development. In your opinion, what should we do to make State enterprises become the mainstay of the nation’s economy? 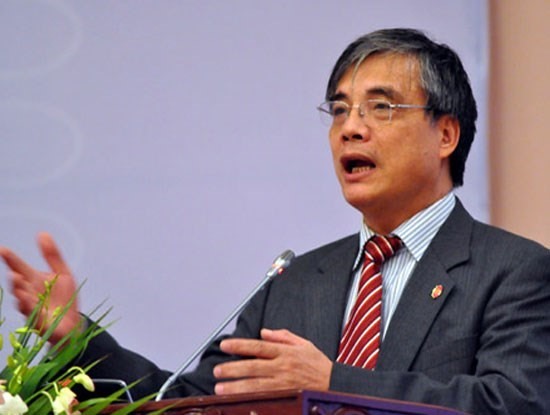 We should adopt a development strategy for Vietnamese enterprises with a clear road map. It is high time for us to make efforts to help Vietnamese enterprises to stand on their own feet and be able to compete with their foreign peers.